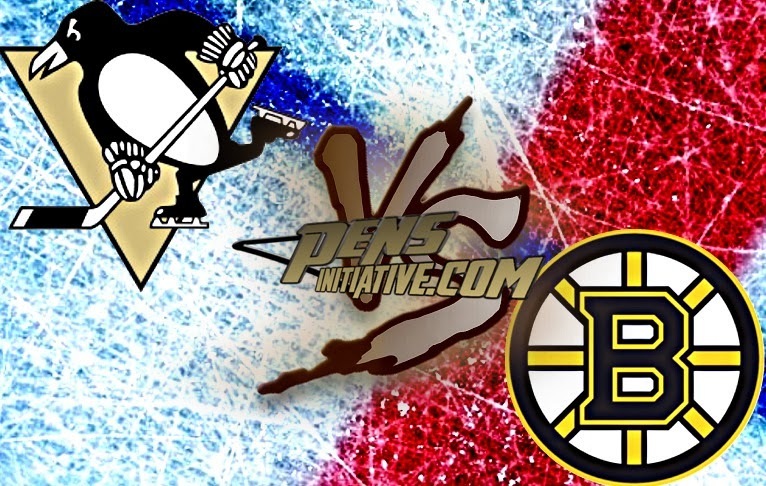 Last night the Pittsburgh Penguins were defeated by the Boston Bruins at TD Garden by a score of 4-3 in overtime. This was the second match up between these teams of three this season. If you looked at the shots from the first period you would think that the Penguins had the majority of the momentum in this period. Sadly that wasn't the case. It would be the Bruins that opened the scoring in this game when Loui Eriksson scored his fifth goal of the season. The play started after the Pens had a couple decent shots on net. 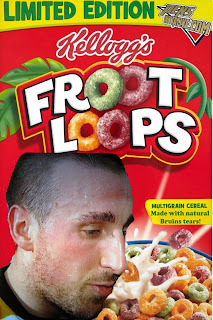 Orpik fanned on the puck and.. well, this happened. 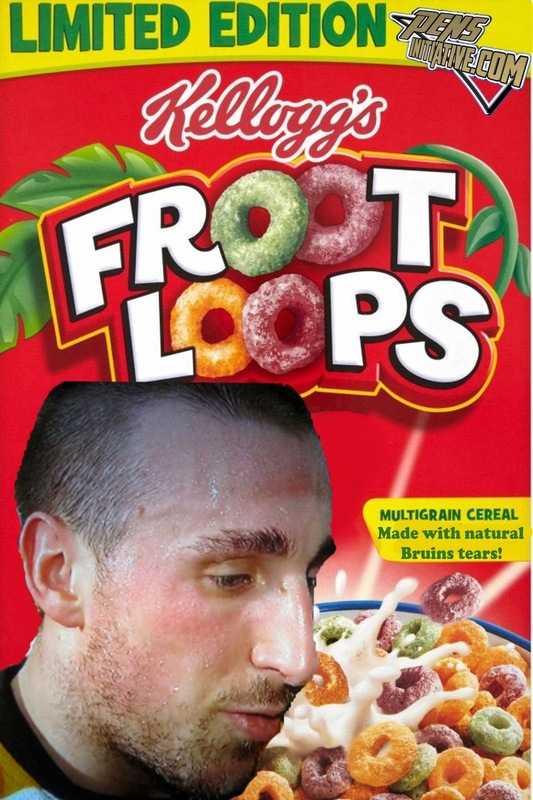 Great work by Orpik... Two on Ones work better going the other way though.. That would put the Bruins up 1-0. A couple minutes later Pascal Dupuis was called for Hooking. The Bruins did not wait long to take advantage of the Penguins penalty kill which has been really good as of late. 9 Seconds into the penalty kill Reilly Smith would put the up 2-0. The Bruins would leave the first period with a 2-0 lead. In a period that the Penguins had the majority of shots again with 11-8, they did not wait to get up on the score board when James Neal(5) put a snap shot behind Rask 37 seconds into the period. Jokinen(7) and Malkin(23) both got assists on the goal. The Penguins cut the lead by a score of 2-1. Almost half way through the period the Penguins had a chance at tying the game but Sid was not able to bury the chance behind Rask..
That was about it for that period... Here is a pretty silly shot taken of Rask..
here is what Brad Marchand had to say about Rasks hair..
A little over half way into the third, James Neal would tie the game 2-2 Niskanen started the play off and Jussi and Neal did some nice touch passes before Neal would make a insane shot that would make Crosby blush. 14:45 into the third the Bruins would tie the game with the assist of Crosby with a pretty careless play with his stick.. Yes, I am aware of what happened shortly after but this was not a bright play by Sid. I am sure Flower wanted to give him an elbow drop Macho Man Randy Savage style... 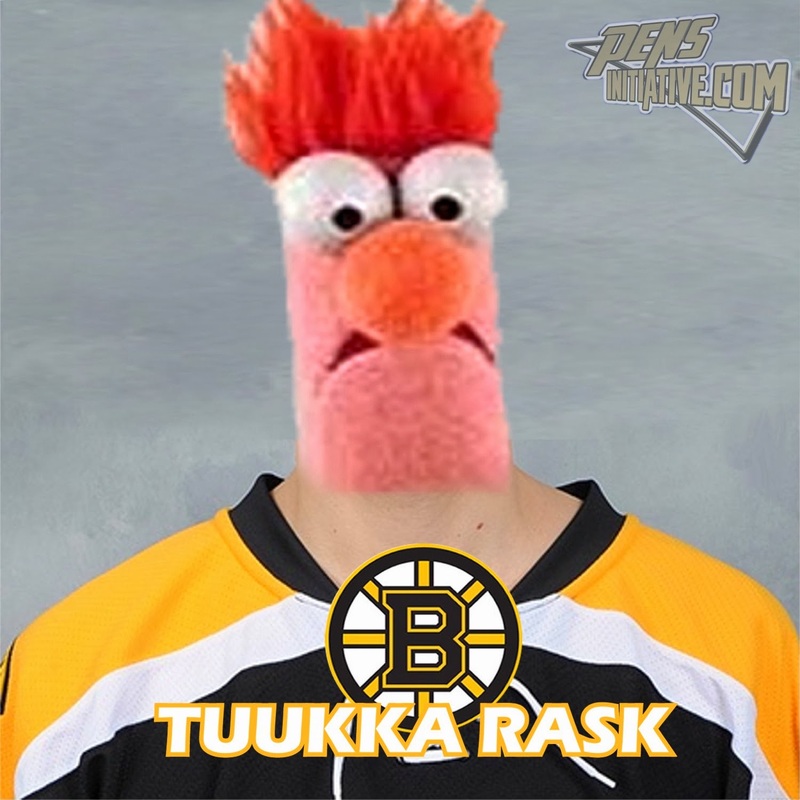 This would put the B's up with almost 5 minutes remaining in regulation. As time wound down SIDNEY CROSBY BECAME THE BEST AGAIN WHEN HE TIED THE GAME WITH .3 SECONDS REMAINING IN THE GAME!!!!! WE ARE GOING TO OVERTIME!!!!!! Pens lose... 34 seconds in Krug would score. Bruins win 4-3. Pens walk away with a loser point. Woo? Pens won 31 of 63 faceoffs. Crosby was %44 in the faceoff circle. Letang played over 25 minutes for the first time in a few games and looked bad again. Keep him under 25 and he isn't AS careless with the puck. 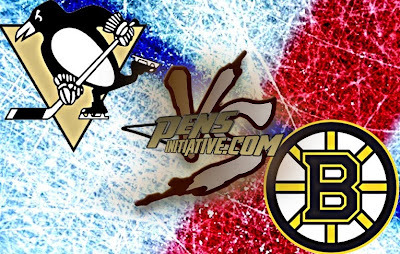 Pens outshot the Bruins 31-24. The Penguins next game is Wednesday at home as they host the Toronto Maple Leafs. The game is set to start at 7:30. Don't follow Ryan Noble on Twitter..